Facing two important islands – Rinca and Komodo – the only habitat in the world for the mythical and endangered species, the Komodo dragon (Varanus komodoensis), the town of Labuan Bajo acts as a transit port and a destination to Flores’s newly discovered interior. The town at the most western end of Flores provides a place to stock up on groceries and other necessities for those traveling on liveaboards to the islands or further east. Prior to entering the Indonesian version of Jurassic Park, travelers will seek for important information in and around this busy port. 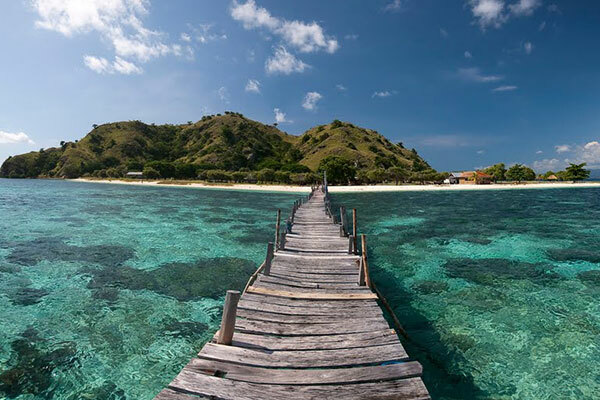 Labuan Bajo has quite a few travel agencies, stores, restaurants, money changers, dive operators, and a wide range of accommodation, from simple guesthouses to starred hotels along the beachfront that can provide free information about the Komodo National Park. The information is also available for the whole Island of Flores that stretches 450 kilometers from west to east. Here the term ‘Long Island’suggests more than just a refreshing cocktail or the largest island in New York, when avid travelers to eastern Indonesia would probably romanticize the term for the Island of Flores itself. In fact, getting across the island is absolutely not a short trip when you go overland. Aside from the assortments of good tourist accommodation, the town itself is quite poor in functioning infrastructures. Expectations should, therefore, be curbed to a moderate level, especially when going on a city tour on your own, where you will find the town somehow pretty simple. Fortunately, it is quiet so that heavy traffic is unlikely. Although watching a colourful sunset over the romantic bay from a restaurant on a hill is quite a stunning experience.